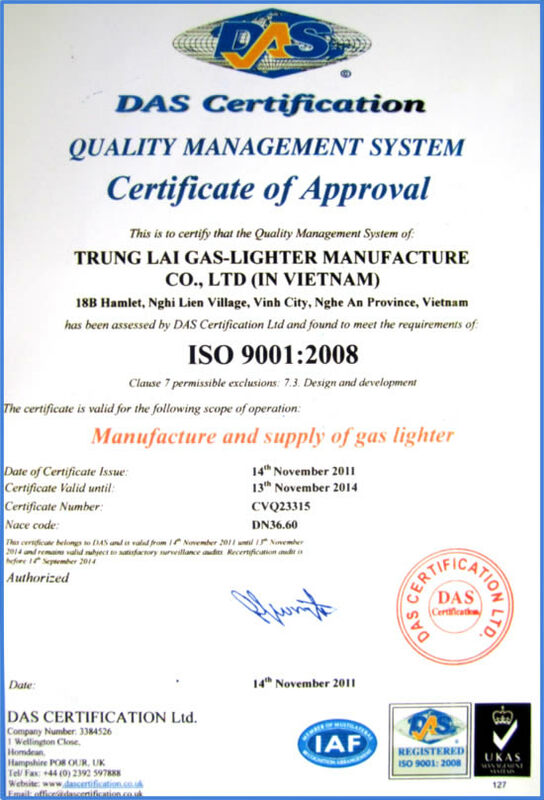 Trung Lai Gas - lighter manufacture co,.Ltd (in Viet Nam) which has 100% foreign captital, was invested by Gladstrong Investments co,.Ltd. Hong Kong (www.gladstrong.com.hk) in Nghe an province. 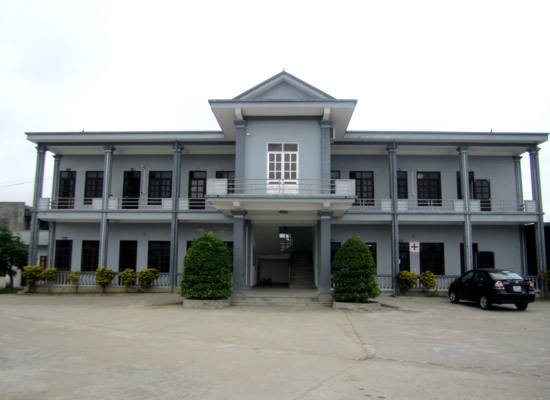 Founding in accordance with investment licence No; 04/GP-NA dated 16th april, 2003 of Nghe an provincial people's conmmittee. Trung lai produces gas - lighters to sell in the domestic market and export to many countries in the world, with the most competitive price. Today, the more we widen production scale, the more we enlarge the export markets, the capacity of our factory is 1.5 billion pcs per year, our products comprise disposal gas - lighter and safety lighters, they can bear pressure under 55°C and 65°C temperature, the steps in the manufacturing process are complied strickly with technical stipulations of the internatinonal standard TUV 9994-2006 of Germany and Iso 9001:2008 of DAS UKAS of United kingdom Besides, our safety lighters gain the international standard of TUV 9994-2006, ISO 9001:2008 of DAS UKAS of United kingdom and were granted a safety - lighter CR certificate by American resistance organisation. We were, in addition, granted Patent for invention No; 516 Natinonal office of intellectual property of the Vietnamse ministry of science and technology. We alway consider prestige & quality as a head target to ensure punctual delivery as well as quality and quantity of regulations of contract. We will supply models and pack as customers' demand!